Roger Federer reached the Miami Open fourth round with a straight-set win over world number 103 Filip Krajinovic. The Swiss, who is bidding for a fourth title in Miami, beat Serbia's Krajinovic 7-5 6-3. Federer's third-round match on Monday was much more his style. The Swiss was thoroughly tested during his Miami Open opener on Saturday, needing three sets to beat Delray Beach Open champion Radu Albot of Moldova. But Federer, after an even start against Filip Krajinovic, raced past the Serbian 7-5, 6-3 to reach the fourth round in South Florida. Federer, second all-time in Miami wins, improved to 52-14 at the season's second Masters 1000 event. 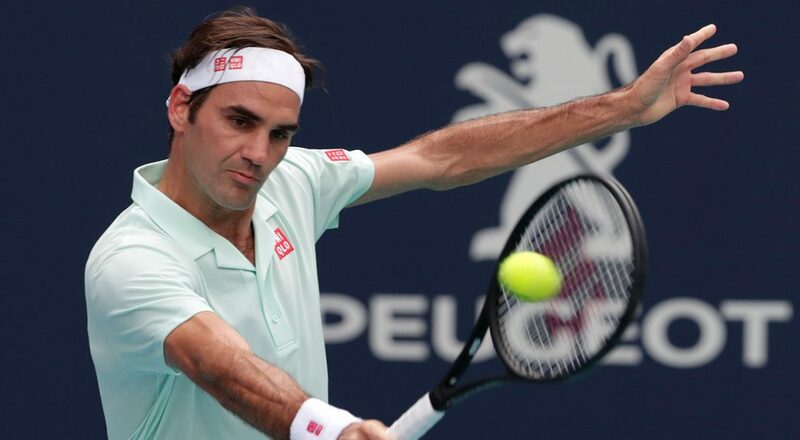 Federer converted just two of eight break points in the opening set but became more accurate as the match progressed, finishing with 35 winners to 23 unforced errors. The 27-year-old Krajinovic stayed with the three-time Miami titlist in the opener, matching Federer from the baseline. The Serbian made the fourth round at the BNP Paribas Open in Indian Wells (lost to Nadal) and was looking to match that result in Miami. Their only prior ATP meeting, at the Citi Open in 2017, also featured three tie-break sets. Federer leads on head-to-head with Medvedev 2-0. Since August 2018 though, Medvedev has won three ATP Tour titles.